How can I be at two places at once? Magic. And also, my trusty worker bee Michelle Laramie. I will be in Austin on my first ever trip to Texas aside from an airport layover (which doesn’t count). 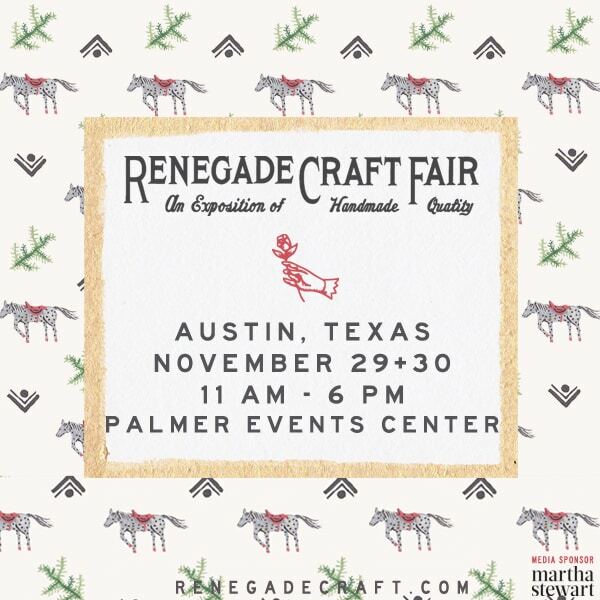 If by chance you are going to be there or you have friends and family there that want to go shopping for some xmas gifts that are American made by a passionate group of Indie artisans, and who also love completely awesome and one-of-a-kind gifts, then just know this is the place to be. Martha Stewart thinks so, therefore it must be true. Any must-do Austin bars? Music venues? Restaurants? I’m taking all suggestions!